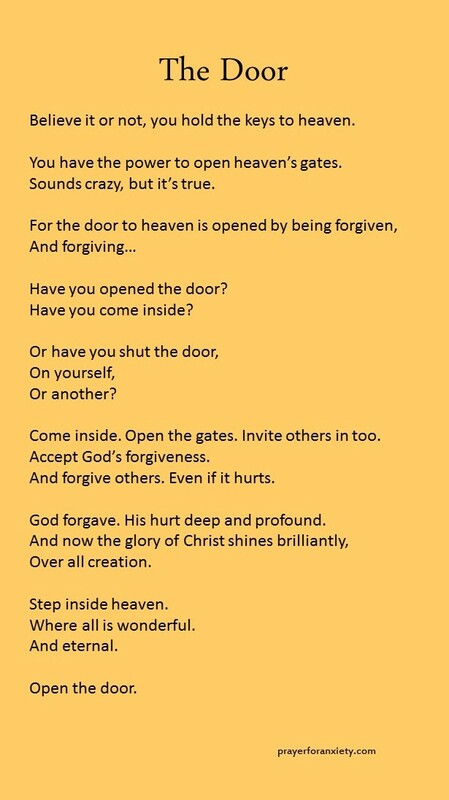 The door to heaven is Jesus Christ. Let him show you how to enter into his glory. Never close the door on yourself. Never close the door on anyone else. God’s great love and Spirit make all things possible. See our full list of prayers and informative articles. I am the gate; whoever enters through me will be saved. They will come in and go out, and find pasture.